I was reading some knitting blogs the other day, and I came upon a description of a Ravelry knit along that looked fun. It’s a “sockalong”. I’ve not knitted socks in a year or so, and I’ve missed it! 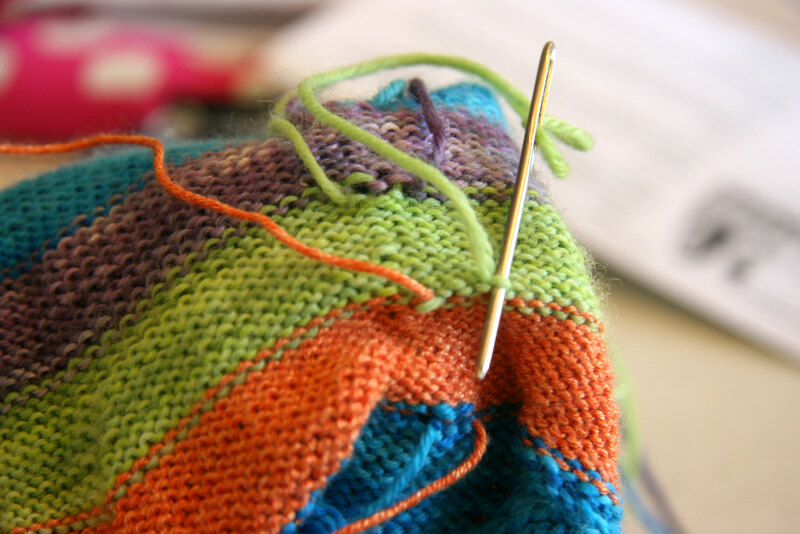 The idea of the knit along is to just use leftover sock yarn. I have some of this. I wasn’t sure how it was going to look, but I tried to pick out some colors that I thought would be ok together. I finished the first sock today. I think it is one of my all time favorite socks. It also fits great. I used this basic sock pattern from Susan B Anderson. 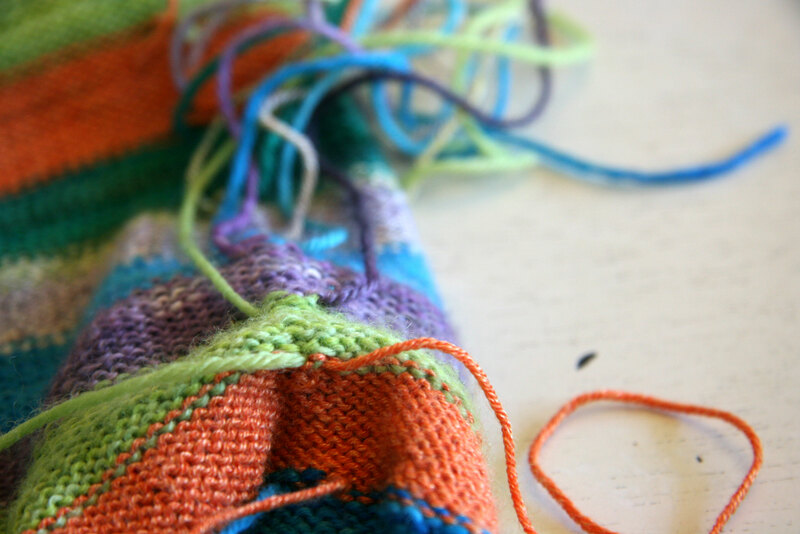 I think my favorite sock to knit is just a plain basic stockinette stitch – especially in fun yarn – or especially like with this sock where I changed colors every ten rows. I didn’t want to try to get Davey to take a picture, and David wasn’t here so I put my sock on a sock blocker and used the marimba keys to help pose it. Very handy! One thing I learned from knitting these socks was a nice way to finish off those ends. I had lots of ends to weave. I may be one of the last knitters to have learned this handy method, but I watched a video by Susan B Anderson, and then I tried it out. It is easy, fast, and efficient. 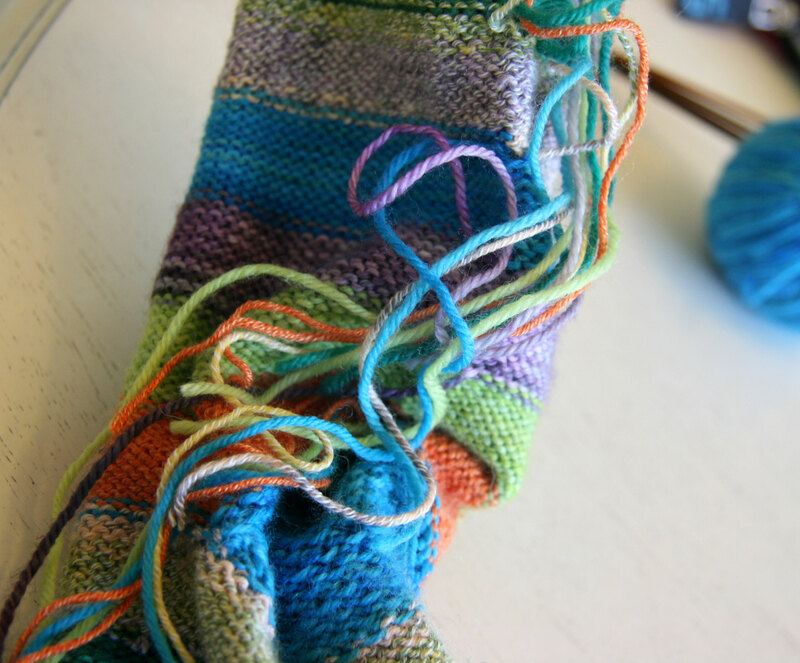 At each color change, you just take the two yarn ends and tie them in a simple knot. Then you take the end and run it up and down several stitches in a row through the purl bumps. Then you trim the ends. So easy. Finishes it up so nicely. Looks great! Davey had his “big shows” today at The Little Gym. He had one for his karate class and one for his Giggleworms class. He had a great time. David and I were poised with our camera and videocamera. I had to switch to my phone when the videocamera battery died (I’d not properly charged it). So we got lots of footage and some pictures. 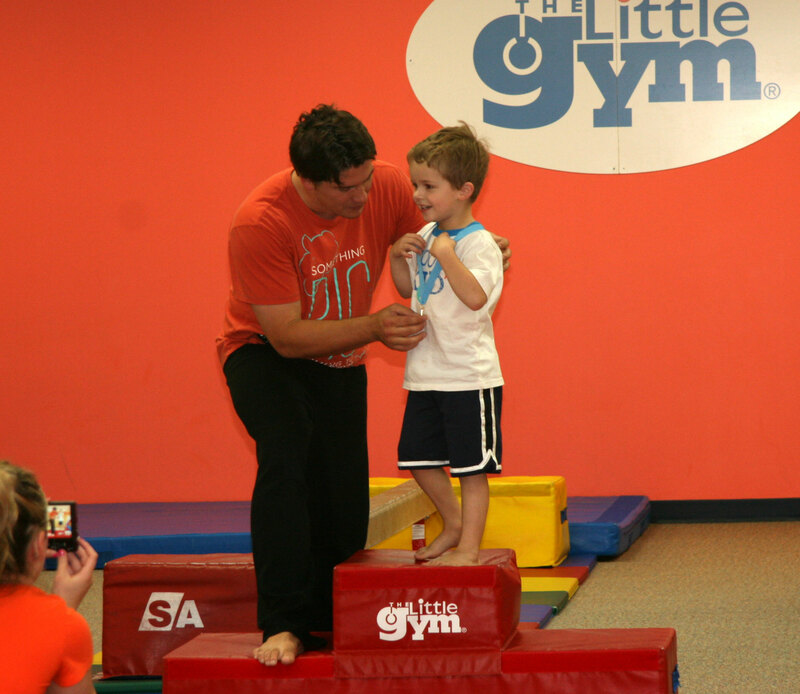 Here’s Davey with Mr. Nick getting his karate medal. He loved that. 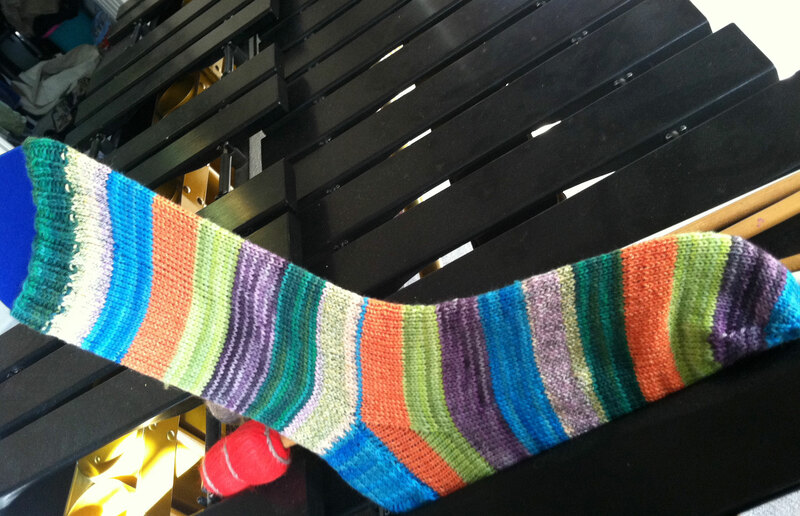 This entry was posted in Family, Knitting and tagged sockalong, socks, susan b anderson, weaving in ends by cpeezers. Bookmark the permalink. whatever happened to “The Joy of Sox” book that you were working through? Did you finish it?